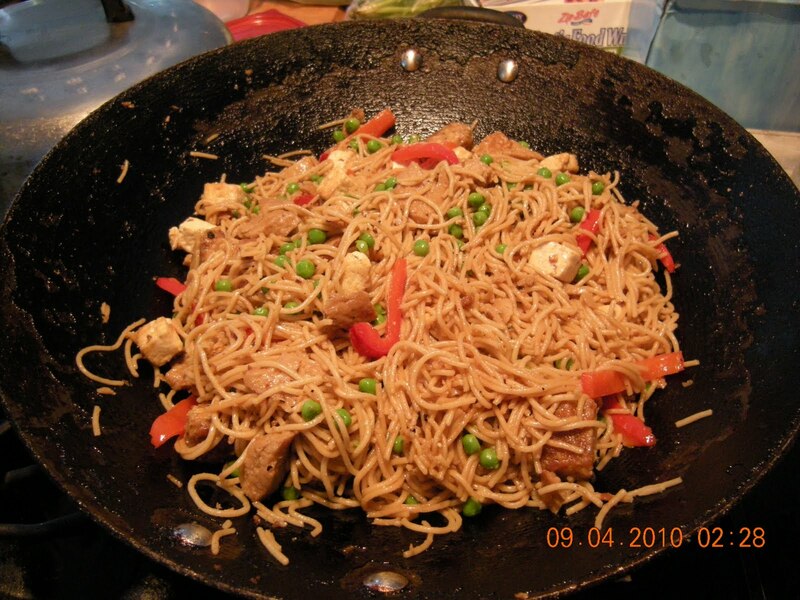 The recipe is basically a stir-fry, vegan version of Pad-Thai, and is endlessly satisfying, since it is chock-full of protein and fiber. 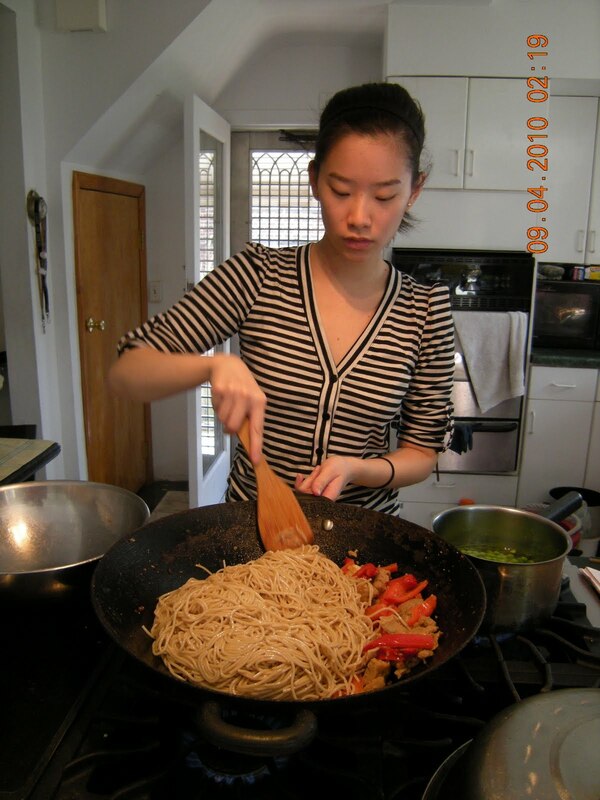 One crucial thing is to fry each ingredient separately, and be mindful of how much oil you add, since you do want to add sesame oil at the end for flavor (it doesn’t say when to add the sesame oil in the recipe itself, which is odd, but it really tastes great at the end as a sort of seasoning). 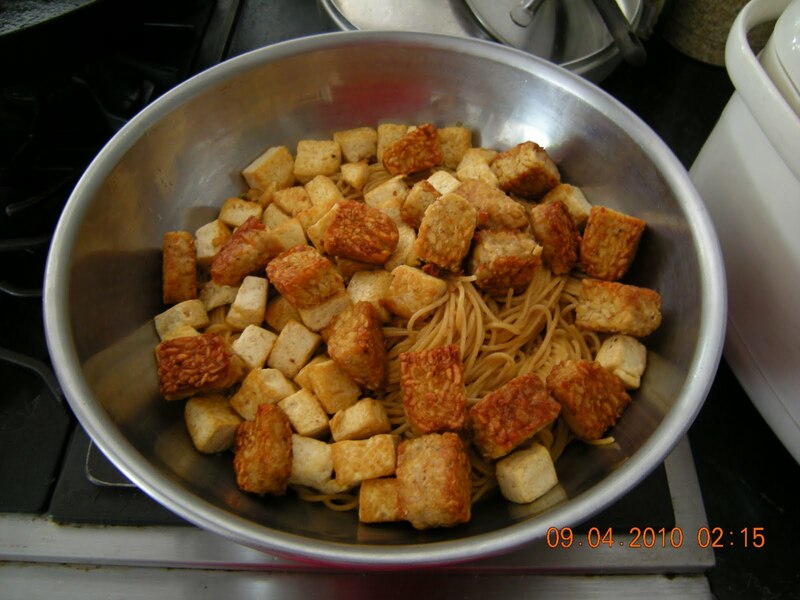 For this particular instance, I did use whole-grain spaghetti instead of vermicelli, which was fine, but vermicelli does give it more originality. Conversely, thin spaghetti or even angel hair pasta is fine. 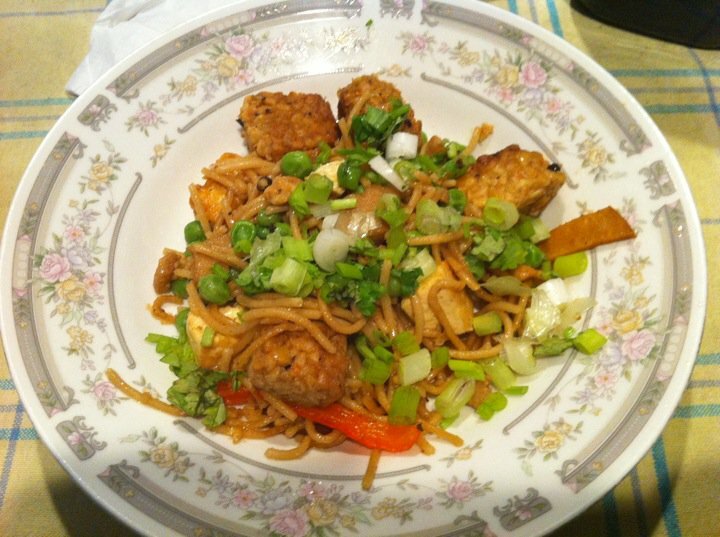 Whatever your preferred noodle is, this recipe is fairly easy to make and so very tasty! 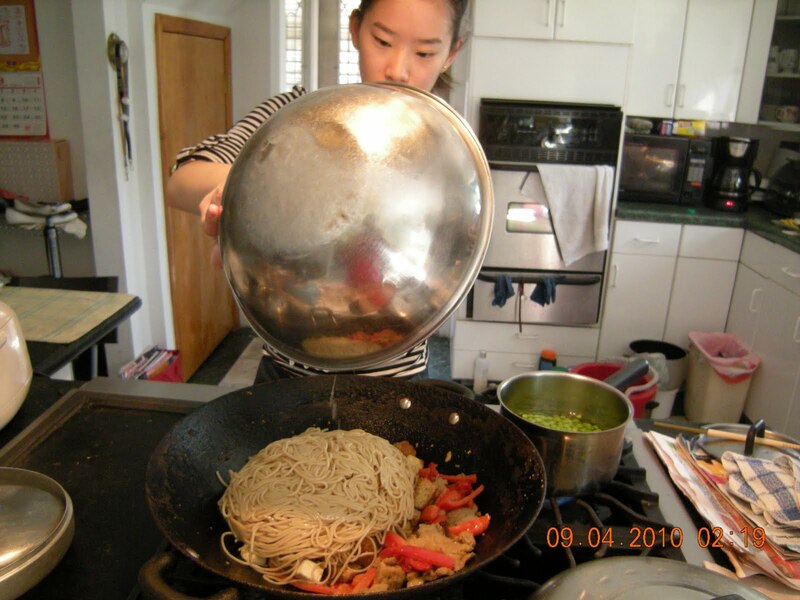 Be sure to have a large bowl on hand in which to put the ingredients in after they finish their turn in the skillet/wok. 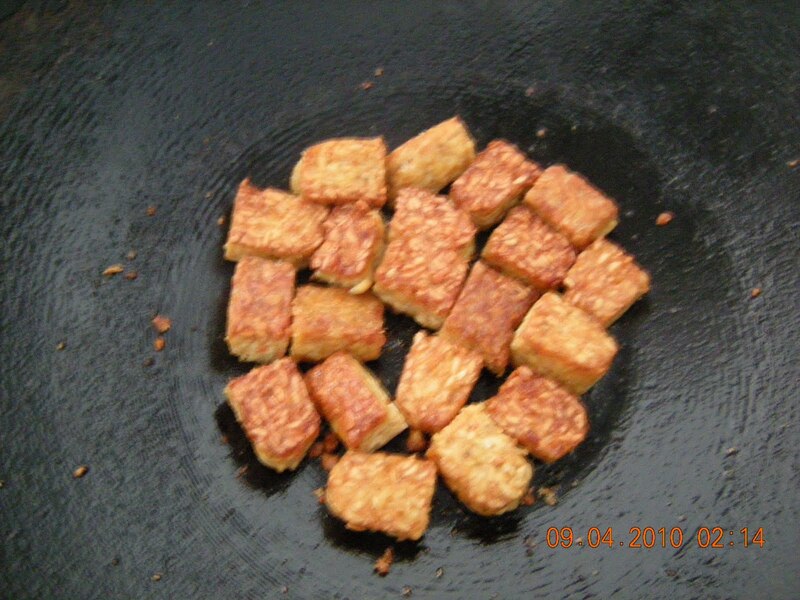 After frying them all individually, toss it all back in and fry just to make it up to par in terms of temperature. Westsoy seitan strips and red bell peppers. Having a large bowl on hand makes it so much easier. 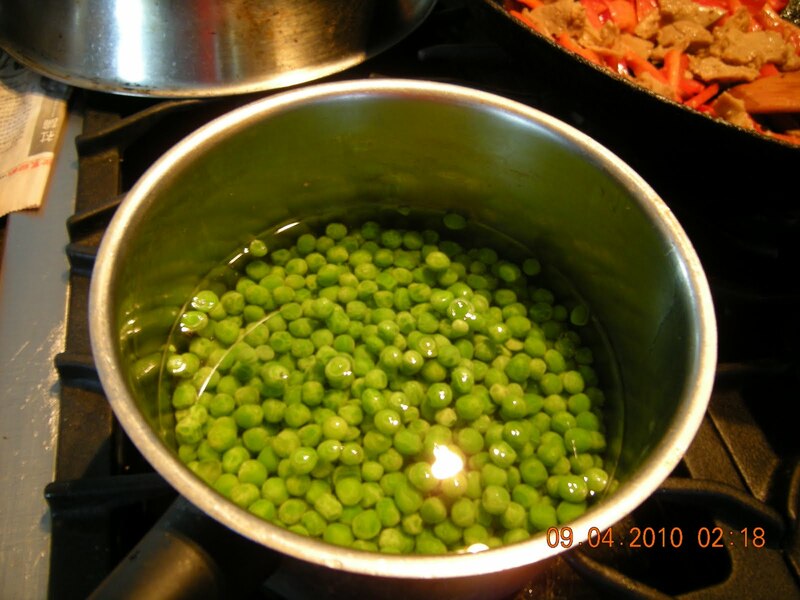 I like frozen peas vs. canned. Just boil a little and stir ’em in! Make sure to thoroughly combine the ingredients. Finished product! Don’t forget the cilantro and scallion garnish, they really add to the overall palate of the dish.